Backflow can cause serious problems for your drinking water. Read on for more information. 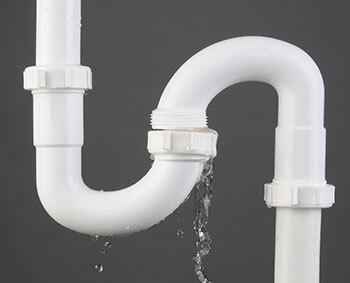 Your plumbing system is designed to promote the flow of water in and out of your home. Wastewater is flowed out of the home, while safe, potable drinking water flows in. If the flow on either side is reversed, it can lead to serious problems not just for your family, but also for your entire community. Backflow is the undesirable reversal of the flow of water from whatever direction in the pipeline or plumbing system it is designed to flow. In simpler terms, it means that water that is supposed to flow outward starts flowing inward, and vice versa. Backflow is a serious problem because it could cause the contamination of drinking water. This affects your household’s drinking water, but if you’re connected to a city-wide drinking water system, it can cause the unintended contamination of an entire community’s drinking water supply. There are devices that can be installed in a plumbing system to regulate the flow of water in the system called backflow preventers. As their name implies, they work by preventing water from flowing backward in a plumbing system. They are installed in piping areas that are called cross connections. These are any pipe, valve, or fixture that could potentially allow drinking water to become contaminated or questionable in quality. If a backflow preventer is properly installed and maintained, it can prevent the flow of wastewater from contaminating a drinking water supply. Some states, including the state of Maryland, require that backflow preventers are installed in homes, especially those connected to a home irrigation system. These prevent contamination of drinking water not only from wastewater but also from pesticides and fertilizers. And the law deems it the responsibility of the homeowner, not the water supply company or regulators, to have the backflow preventer installed and maintained. If you need backflow preventers installed, repaired, or maintained, contact your local plumber. This entry was posted on Wednesday, September 28th, 2016 at 7:37 pm. Both comments and pings are currently closed.